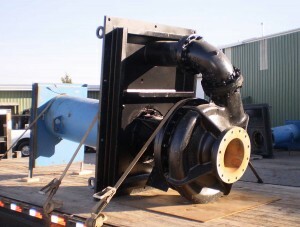 There are a tremendous variety of highly effective sprayed on protective coatings available from various manufacturers that have proven the be highly effective in preventing corrosion and improving resistance to both corrosive and abrasive wear in pumping equipment, and thereby significantly extending service life. 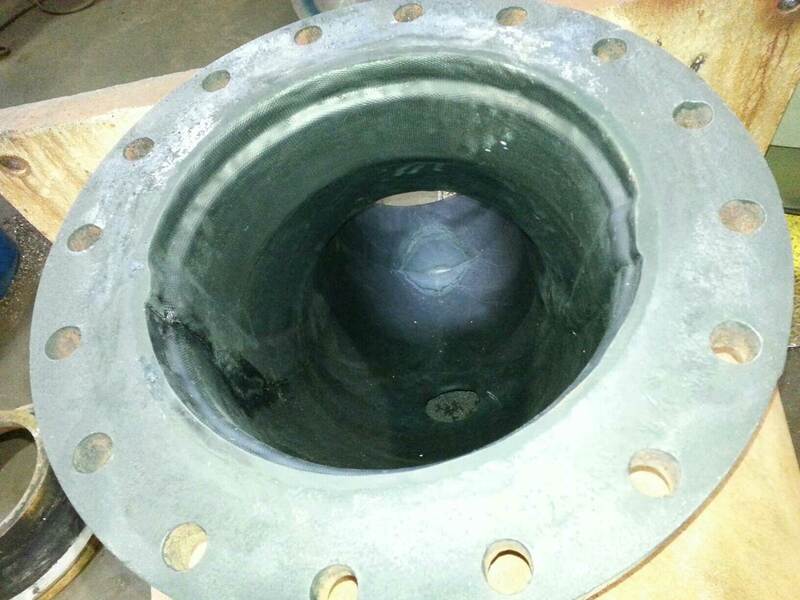 In general, the coating process usually involves careful surface preparation, generally achieved with sand blasting, followed by application an epoxy catalyst or rubber coating product. Depending on the coating product there may be an initial primer coat followed by one or more top coats until the desired built up is achieved. Often times when providing equipment to engineers specifications, a particular product and procedure is specified. Nickerson Company has worked extensively with a wide variety of these industrial coating products and can comply with nearly any specification of provide advice on coatings based on the particular application and the corrosive and/or abrasive conditions. 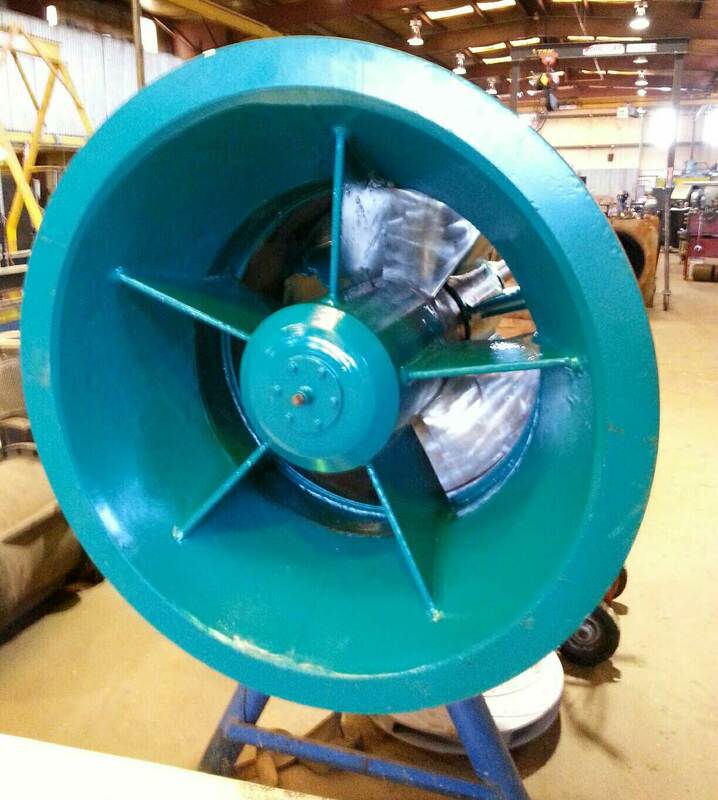 Nickerson Co. also offers 3M Powder Coating, a plastic like coating that is applied to a heated up part using electrostatic attraction between the powder and the parts to pull the material into virtually every exposed surface. 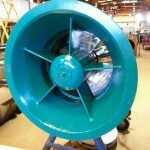 Powder coating is a highly effective procedure to utilize in both corrosive and abrasive conditions. In addition to sprayed on and powder coating products, Nickerson Company also has extensive experience with the application of sprayed on metalizing products to achieve hard surface wear journals. We have achieved excellent results providing shaft wear journals in both tungsten carbide and chromium oxide that form a wear surface many times harder and more wear and corrosion resistant than the base shaft material. This same process can be utilized to fill in and repair wear damage on a shaft followed by a hard surface wear journal.